The Dangote fertilizer plant which is part of the multi-billion dollar petrochemical complex (located at Lekki Free Trade Zone, Ibeju-Lekki) will begin operations before the end of the year. Edwin Devakumar, the Group Executive Director of the Dangote Group disclosed this in an interview with Bloomberg. He also gave an update on the project and its related components. The firm would thus, be joining other fertilizer producers in the country including Notore (which bought over the National Fertilizer Company of Nigeria), Indorama and blending plants run by the National Sovereign Investment Authority (NSIA). Despite being the largest crude oil exporters in sub-Saharan Africa, Nigeria continues to import refined products due to an absence of refining capacity. The four refineries owned by the Federal Government, are refining well below capacity. The importation has left pump prices vulnerable to exchange rate depreciation. Fuel scarcity and the resultant queues are a common occurrence in the country. The state-owned Nigerian National Petroleum Corporation (NNPC) is currently the sole petrol importer, even as it incurs losses running into trillions of Naira. A situation it terms under recovery. The government has been unwilling to increase pump prices to prevent a backlash as elections approach. The company’s oil blocs are billed to start production soon. The group has two blocs OML 71 and 72. Current production is at about 20,000 barrels a day but the firm plans to expand production as well as acquire more oil blocs. Which firms will provide feedstock? The company is considering bids from various firms to supply crude oil (feedstock) to the refinery. Parties with which preliminary discussions have been held with include Royal Dutch Shell, as well as independent oil traders Vitol and Trafigura. Devakumar also disclosed that the companies would have separate listings on the Nigerian Stock Exchange (NSE). Dangote Cement is the biggest company on the NSE with a market capitalisation of N3.8 trillion or 27.9% of total market capitalisation. 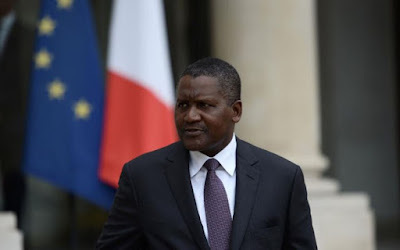 Aliko Dangote who holds a dominant stake in the firm through Dangote Industries Limited (DIL) is by virtue of this, Nigeria’s biggest capital market billionaire. Other Dangote firms listed on the exchange include Dangote Sugar, NASCON Allied Industries, and Dangote Flour. Dangote Group was established in 1981 and initially focused on cement importation. It has since diversified into manufacturing a wide range of goods including sugar, flour, salt and pasta. The Group also has interests in areas such as road construction, telecommunications and motor assembly.